As delivery day approaches for my little guy, I’ve been doing a lot of preparation. Our daughter arrived fairly early and we ended up in the hospital for a full week. Thankfully she was healthy, just slow to gain weight so they wanted to keep her in the hospital for monitoring. Luckily, my husband and I were able to stay with her. During that time we were really overwhelmed as well as very unprepared…we thought we still had more time!!! One thing that I appreciated was the hospital hat she received when she was born. It was the traditional pink and blue striped cotton hat that most babies get when they are first born. Since we were worried about her health, when it fell on the floor, they provided us a new one to put on her. This hat was not the traditional hospital hat given to most newborns, but instead was a hand-knitted multicolored hat. I asked where it had come from and the nurse said that people make them and donate them to the hospital. 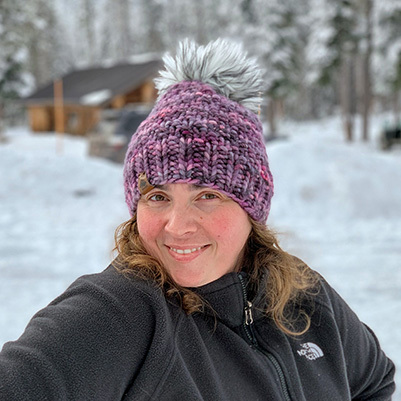 I thought that was a wonderful idea to crochet these hats… how generous of those people to use their time and supplies to make something for my daughter’s benefit! 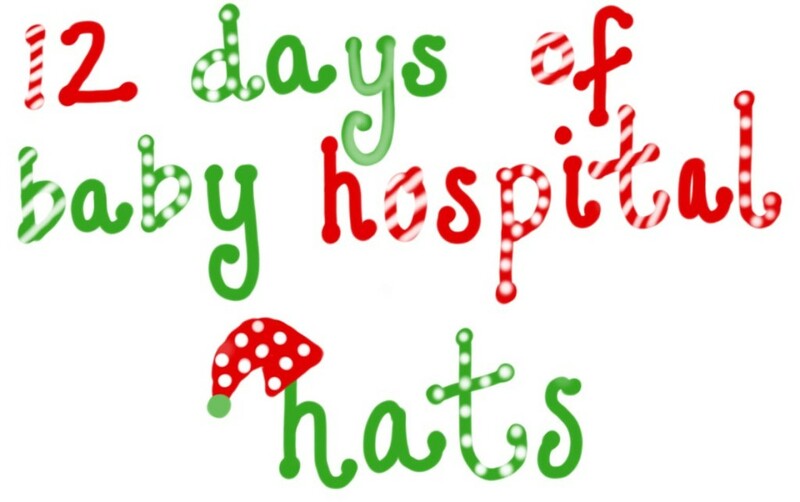 So after a lot of consideration, I have decided to challenge everyone to a 12 Days of Hospital Baby Hats Challenge. Starting on December 13th (this coming Sunday), I am planning on crocheting one baby hat each day (various sizes…preemie, newborn and 0-3 months) until Christmas Eve. Then I will donate all of them to the hospital in which I will be delivering. Before you start this challenge, I do suggest you contact your local hospital to find out if they take handmade hats and if they do, I would ask if there are any restrictions. The hospital that I am donating to will not take any hat that has embellishments on it and they prefer hats that are shades of purple for the Purple Cry education they teach mommies after delivery. Yarn: Whatever is approved by the hospital. If it is a thicker or thinner yarn than I am using, you may have to adjust the number of increases you do and how many rows you do. *** For purposes of this pattern, the chain does not count in the stitch count ever. *** I stopped increasing on Row 4 – My hat measured 4 inches, which is perfect for the newborn size. Row 12: Chain 1, SC in each stitch, join in top of chain, then finish off and weave in any lose ends. *** I stopped on row 12 – My hat measured 4.25 inches in length, which is perfect for the newborn size. If you have decided to join me in this cause, please send me your pictures and I’ll be sure to post them. Also, feel free to share your pattern if you decided to not use the one I provided. I think this is such a wonderful cause and what a perfect time of year to do a challenge like this! Good Site, Continue the excellent job. Appreciate it!.